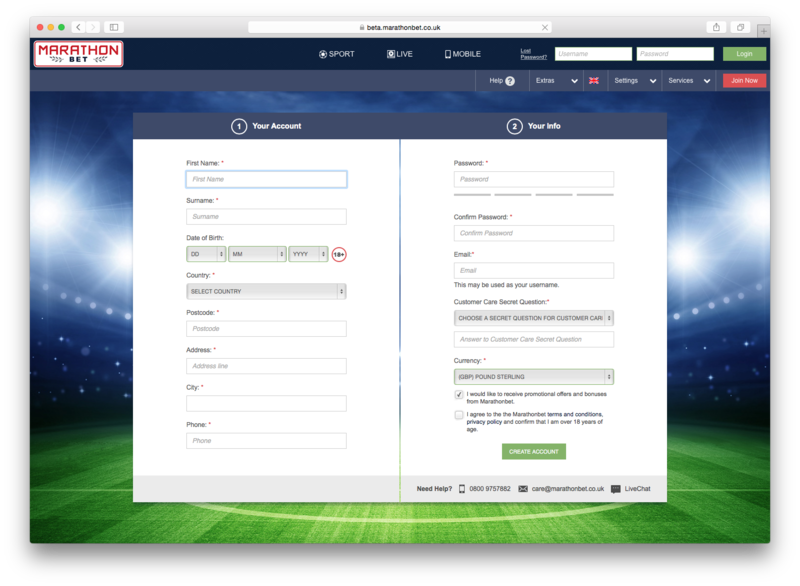 Get your new betting account at Marathonbet now! You must be aged over 18 to open a Marathonbet betting account. Free bet promotion open to UK & Ireland residents only. T&C's apply. You must be aged over 18 to open a Marathonbet betting account. 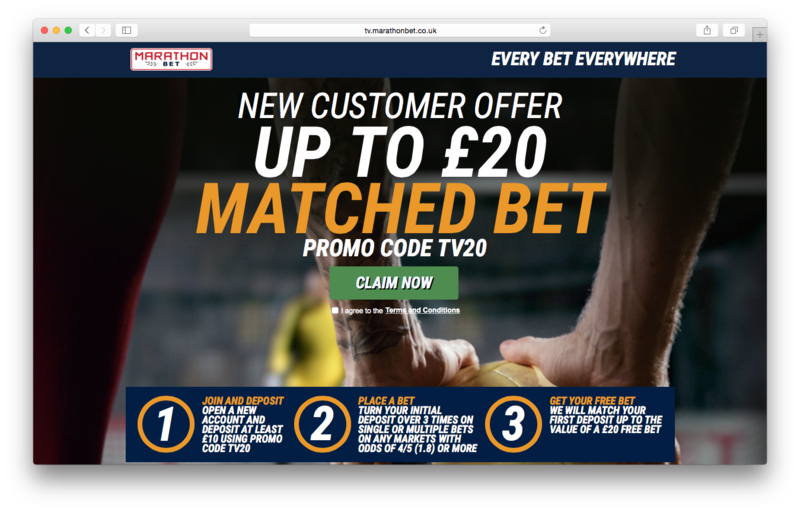 Looks like Marathonbet isn't promoting any special offers, right now. Check back soon! Being a Fulham fan had no choice but to signup :). New site is much better than the original and the bet to lose accas are something different from the main bookmakers. 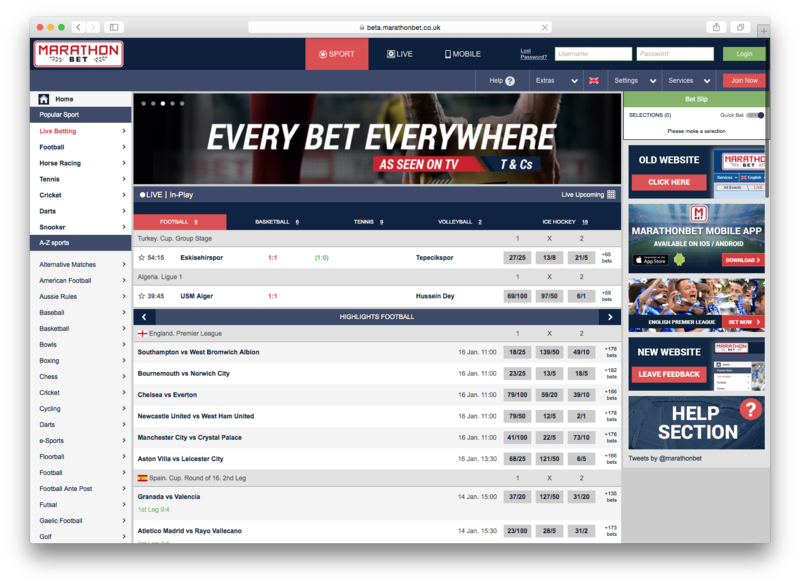 Understandably not the best looking betting site but MarathonBet has several unique features that make is stand out from other betting services. Being be able to bet with potential winnings whilst still in play is excellent. Not a fan at all, pretty slow on their in play betting, the interface is terrible and it takes a while to fill your bet slip especially if your doing football outcomes. Not a great site and needs work to be user friendly. Needs to be vastly improved to compete with other sites. Very basic sluggish site. Not a patch on the leading bookmakers. Basic and lacks market variety.